We’ve all seen them. You open the news paper and there’s an add for a low priced air duct cleaning. 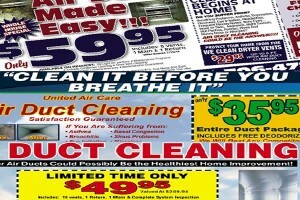 It typically says “Includes up to 10 vents and 1 main, for the low price of $49 or $59”. It also says, somewhere on the ad, “10% discount for senior citizens and expectant mothers”. While all of this sounds great, have you ever stopped and thought about what they’re offering? A typical whole home air duct cleaning will run around $400 to $600+ for a home with 1 furnace (in the Indianapolis area), and it will usually take around 3 to 5 hours to complete. So ask yourself this, “how can someone be in my house for 3 to 5 hours, and only charge me $49 or $59?”. The bottom line is, they can’t. These companies are specifically going for the up sell. We have seen these companies charge between $1500 to $5200 before the homeowner kicks them out of their home. Oh, and that 10% off for seniors and expectant mothers; who better to scam than a senior citizen or an mother who is awaiting the birth of her child. They create a sense of urgency for both and most of those individuals will buy because they are scared in to it. Besides that, they typically show up with a shop vac, rather than an actual air duct cleaning machine or truck! The whole idea is to get the dust/debris not only out of the duct system, but out of the home. A shop vac or a machine brought into the home will only filter the air right back in to the home. Our truck mounted power vac units will make sure all of the dust/debris is contained and filtered outside of the home. Our recommendation is that you get an up front price on air duct cleaning before you ever have the company start the work. This way you know what you are getting. Also, check the companies reviews across multiple platforms. 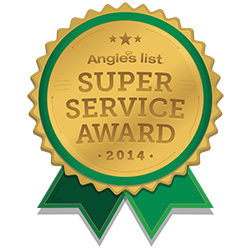 Mite-E-Ducts is an award winning air duct cleaning company and we take pride in our work and customers. We will always give you an up front price that is a flat rate. If there are any issues during the duct cleaning, we will let you know up front and direct you to the proper solution whether it is with our company, your HVAC company, or a remediation company. We are an air duct and dryer vent cleaning company, period. We will always have your best interest in mind.